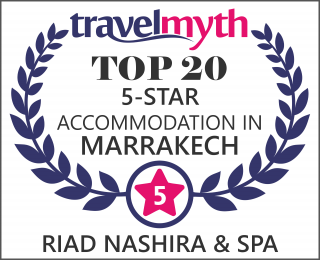 Riad Nashira & Spa is a dream place to live in two. True oasis of luxury and serenity. A professional team invites you to enjoy moments of unique and unforgettable happiness with your lover. It’s a seductive place to celebrate a romantic event in Marrakech. *** Oriental couple private Hammam to make you living a memorable relaxing moment together.